Atlanta-based talent joins forces to deliver an exclusive record titled, "Pride." 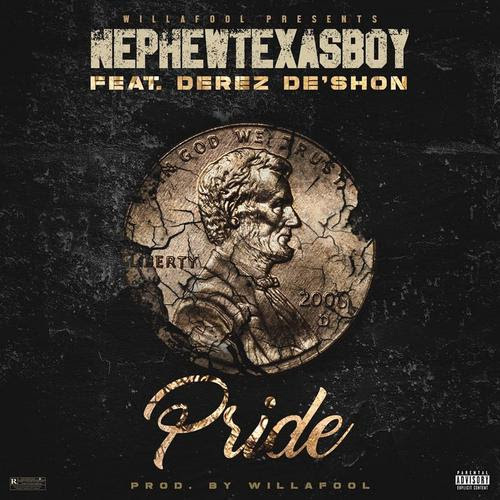 The record, presented and produced by platinum producer, Will A Fool (@willafool), features Nephew Texasboy (@nephewtexasboy) and Derez Deshon(@derezdeshon) on the track. Will A Fool, whose production credits include Future, Gucci Mane, Migos, 21 Savage, Lil Durk and many more, sets the tone of the record with melodic instrumentation and smooth 808's. In the record, "Pride," the Atlanta-based artists rehash doing what you've got to do when you're grinding your way to the top, including putting your pride and emotions to the side as to not let anything or anyone stop you from crossing that finish line.